DTS025 - Shak 2, Virtual subtractive synth from Detunized. 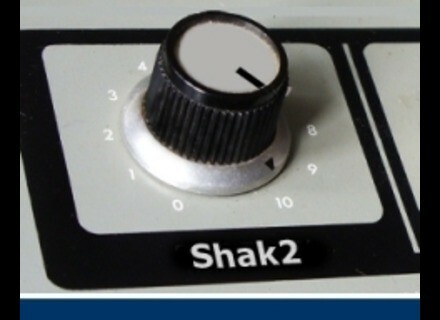 Detunized releases Shak 2, an interesting Live Pack featuring the Roland SH-2000. "This somewhat toylike synthesizer was introduced in 1973. It´s an analog single-oscillator keyboard with adjustable cutoff, resonance and LFO modulation on filter and pitch. Below its 37-note keyboard are 30 colorful tab switches for the selection of such funny presets like Frog Man, Singing Voice or Hawaiian Guitar. Although the sounds of these presets are far away from what their names imply they are fun to play with." The 130MB Live Pack includes 22 sets of samples from the SH-2000. Through combination with Ableton Sampler´s FX and modulation capabilities a palette of processed instruments was programmed. In order to keep an eye on the original sound of the SH-2000 most of the Live instruments are equipped with a Kill Switch. This is designed to allow to return to the unaltered and original preset sound. 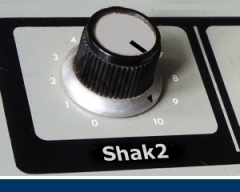 DTS025 – Shak 2 Live Pack (22 instruments / 130 MB / 285 samples) is available as instant download for 6.98 Euro. Subscribers can purchase DTS025 + DTS024 – Phase Facets Live Pack for 4.98 Euro only. More information and audio demos are available at www.detunized.com. CK_Modules CK_Multi-Band Processor-FX CK_Modules has released Multi-Band Processor-FX, a multi-fx plug-in for Windows. Electromancy To Be Discontinued Xenos Soundworks has announced a discontinuation sale for Electromancy, a soundset for the Harmless synthesizer instrument by Image-Line. Mikrosonic SPC - Music Sketchpad Mikrosonic offers Android users SPC - Music Sketchpad, an app designed to produce, record and share music created from their own loops and sequences.